A 'delicate monster' safeguard dog with a lovable underbite and 'tusks' that makes her look like the Gruffalo is watchful for a lasting home. Maddie's base jaw extends out importance her pointy canines are quite often on the show simply like the tusks of the darling youngsters' book character. 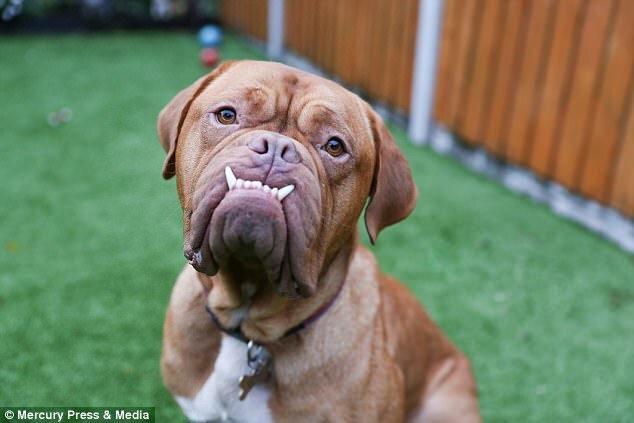 While her distending silvery whites may make her look like the fictional beast, there is nothing tremendous about the two-year-old Bordeaux mastiff. A ‘delicate monster’ safeguard dog with a lovable underbite and ‘tusks’ that makes her look like the Gruffalo is watchful for a lasting home. Maddie’s base jaw extends out importance her pointy canines are quite often on the show simply like the tusks of the darling youngsters’ book character. 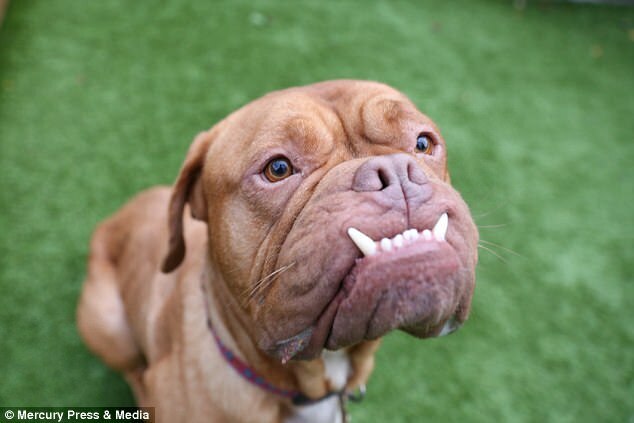 While her distending silvery whites may make her look like the fictional beast, there is nothing tremendous about the two-year-old Bordeaux mastiff. 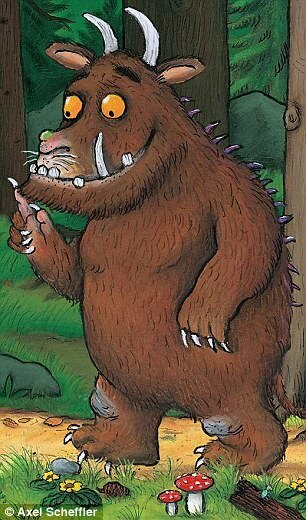 Maddie’s base jaw sticks out, meaning her pointy canines are quite often on a show simply like the tusks of the darling kids’ book character the Gruffalo. The Gruffalo (left) is a tremendous, hairy animal with orange eyes – like Maddie (right) – depicted as being half mountain bear and half wild ox in the children’s book composed by Julia Donaldson. Maddie arrived at Wirral Animal Welfare Association a month ago as her past owner’s long working hours implied the pooch was as a rule left at home during the day.